This is the Ethiopia Ardi brought to you by Portola Coffee Roasters. 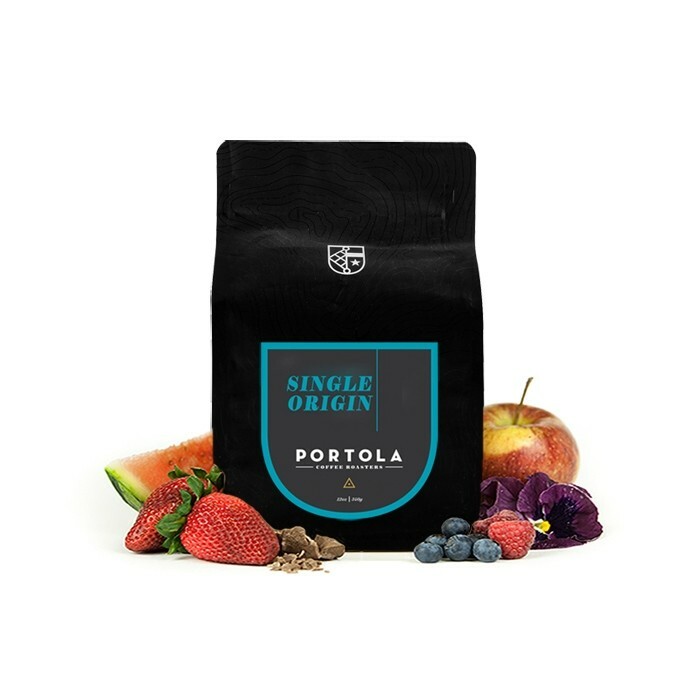 This naturally processed coffee was grown by the Kilenso Moconissa in the Sidama region of Ethiopia between 1,750 - 1,950 meters above sea level. The cup has notes of honeysuckle florals complemented by fruity notes of strawberries and blackberries with a milk chocolate sweet finish. Really enjoyable, a smooth, delicately fruity and lightly acid mouthful, that lingers on with a pleasant aftertaste. I couldn't detect the chocolate mentioned in the description. It is only my preference to be hit hard by a coffee rather than cajoled that makes this a 4* instead of a 5*. This one is awesome. It's smooth. It's fruity. I like this quite a bit. Definitely a bright cup from the start! Fruity acidity leads into sweeter berry finish. The brightness bounces between blackberry and a pop of lemon, with subtler juicier berry notes developing as the cup cools. Well-balanced and enjoyable! Oooo so pungent & absolutely delicious. Description nails it on the head. I agree with the other review. This is a very light and fruity coffee. I am picking up more of a blueberry flavor than strawberry. I am enjoying this coffee very much so far! very very fruity coffee. Brews well with the Kalita, I think that chocolate is a misnomer in terms of flavor. I can't pull it out of the coffee and it's not listed on the bag either. Overall, solid coffee. This rating my alternate between a 4 and 5. After the next few cups.